Two sponges in one. 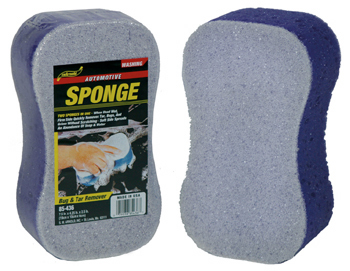 When used wet, firm side removes tar, bugs, and heavy grime, without scratching. Soft side spreads soap and water fast. Attractively packaged. Sparkle Auto Microfiber Towel 16" x 16"